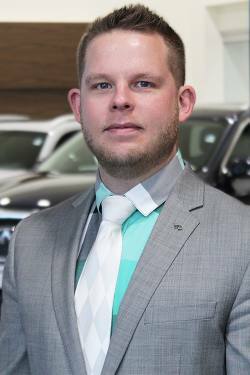 Meet the Guelph Infiniti Guelph Staff | Guelph Dealer ON. 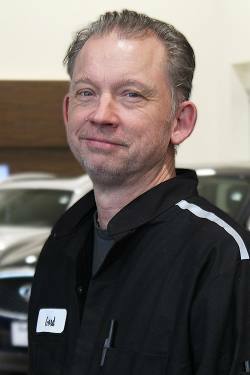 I have been at our new Infiniti store since January 2017, prior to this I spent the last 14 years of my working career at our Nissan store located in Waterloo, my role was Parts Manager, while at times taking on other tasks in our Service department. 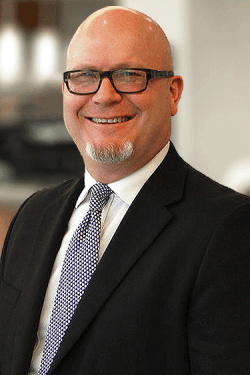 When the opportunity was offered to me to apply myself as Fixed Operations Manager here at Infiniti, I accepted the challenge and look forward to excelling in this new role. I love seeing our customers take delivery of their new Infiniti - there is a level of happiness and excitement when getting your new Infiniti. 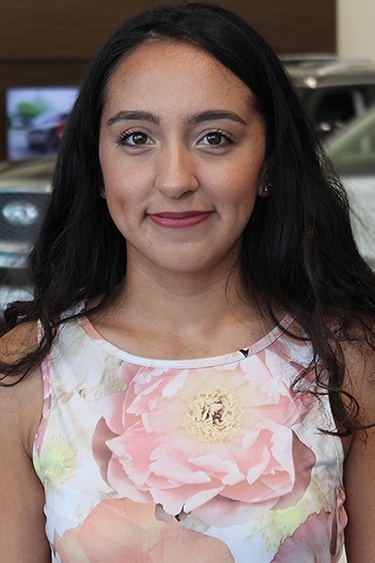 My goal is to have our customers feel welcomed and know their needs will be taken are taken care of by my trustworthy & knowledgeable team. I want you to leave here thinking "what a great experience - well done." Who is your hero? This would be my Mom. She's been there for me all my life, in every aspect and has never let me down. If you could retire tomorrow, what would you do? Buy a Cottage in Point Clark with a hobby shop on the property, I would also have a fleet of dogs. What cheers you up? My beautiful Wife - My Son Nevin whom is almost a year old & Our English Bulldog Thea. 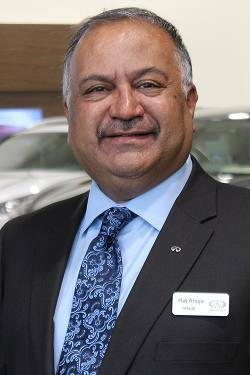 When I arrived in Canada my first job was with Guelph Infiniti in 1997. 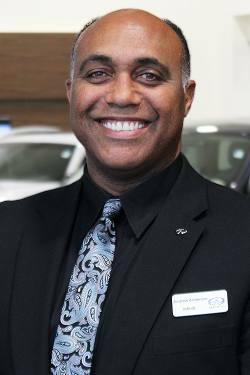 I now have over 30 years experience in the industry and have won multiple sales awards with Infiniti Canada. I have built excellent relationships with my clients over the years, most now I call friends. When I am not selling cars, I enjoy taking a ride on my Harley! Home is Guelph but birth city is Saskatoon...do you know anyone else from Saskatoon? I will gladly be the first! I have had success wrestling at a very competitive level and feel it is a phenomenal foundation for other sports and life in general. I enjoy playing golf, competitive tennis and CARS, what a coincidence. I always welcome the opportunity to earn business and a big thank you is sent out to my existing clientele who continually make my work gratifying, I am also grateful to my lovely wife for her understanding. 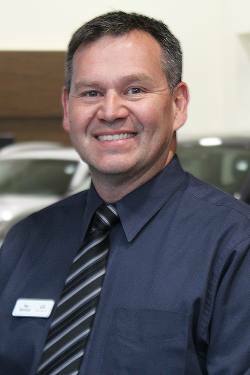 If you have a vehicle need feel free to visit me and talk about it. Saturday: 9:00AM - 5:00PMHome is Guelph but birth city is Saskatoon...do you know anyone else from Saskatoon? I will gladly be the first!